This watch is made by ROLEX for the Canadian market only. 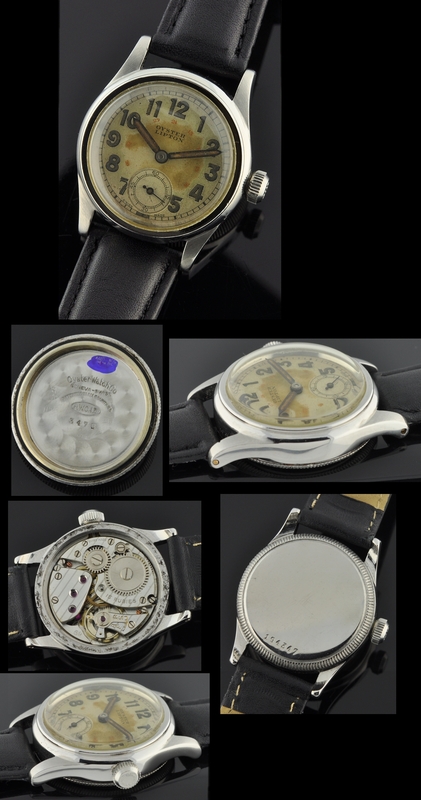 These watches were sold at PX military stores in WW2 to soldiers going overseas. The smaller 29mm. stainless steel OYSTER case size made them less likely to be damaged during battle. We purchased this watch from the original owner. The dials are interesting and complicated on these LIPTONS; this one having an original dial, Arabic numerals, sub-seconds all with original patina. The blued steel pencil hands are original. 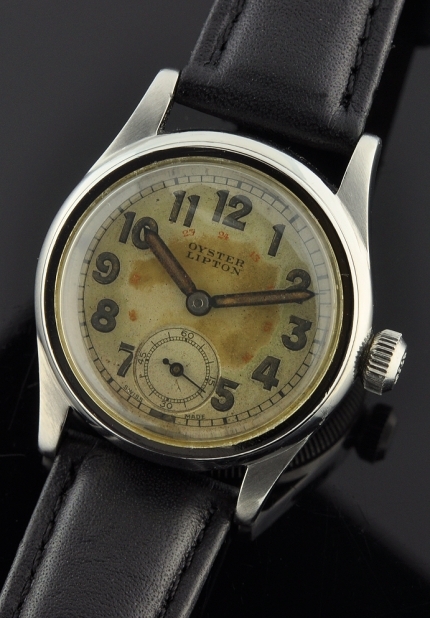 This watch retains the original Oyster patent winding crown also in excellent shape. The caliber 59 (correctly signed ROLEX under the dial) was just cleaned and is accurate.